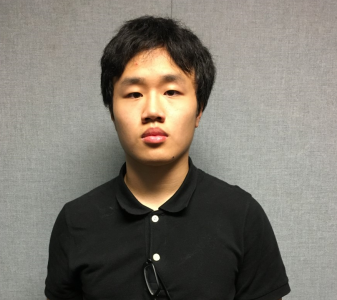 Maryland – Detectives from the Montgomery County Police Department’s Firearms Investigations Unit have charged 18-year-old Alwin Chen with offenses related to the possession of a handgun at Clarksburg High School. Today, just prior to 2:00 p.m., the School Resource Officer (SRO) assigned to and working at Clarksburg High School (located at 22500 Wims Road), received information that Chen might have brought a gun to school today. School security, accompanied by the SRO, went to Chen’s classroom. A school security employee entered the classroom and informed Chen that he needed to speak to Chen. The SRO and the employee walked Chen to a school office. Once inside the school office, the SRO asked Chen if he had a weapon on his person, to which Chen replied that he had a handgun in his book bag and a knife in his front, shirt pocket. At approximately 2:20 p.m., the SRO recovered a loaded, 9mm handgun from Chen’s book bag and placed Chen under arrest. The SRO also retrieved the knife from Chen’s pocket. Chen was transported to the Central Processing Unit and charged with possession of a handgun, possession of a firearm by a person under 21 years old, and possession of a firearm on school property. This investigation is ongoing. Detectives continue to work to gather information and collect evidence to include conducting a search of Chen’s residence and researching and confirming the ownership and purchasing history of the handgun. Chen’s motive for bringing a gun to school also remains under investigation. As additional information is confirmed, it will be released to the public. Anyone who has information about this incident is asked to call the Firearms Investigations Unit at 240.773.6400. Now, did this kid bring the gun to commit crime or did he bring it for self protection? We don’t know at this point. I do know that if people had guns in the Florida shooting, there most likely would have been far less carnage. Food for thought. Gun free zones are the most dangerous places to be.